Preheat oven to 350°F. Line roasting pan with foil. Remove chicken from bag and place in pan. (Discard unused marinade.) 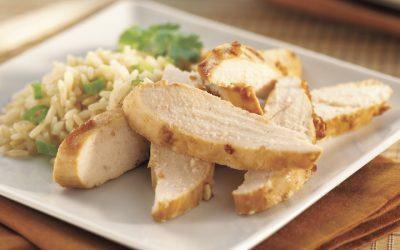 Bake chicken breasts 30 minutes or until no longer pink in center. Serving size: 1/10 of total recipe. Exchanges per serving: 4 Meat.